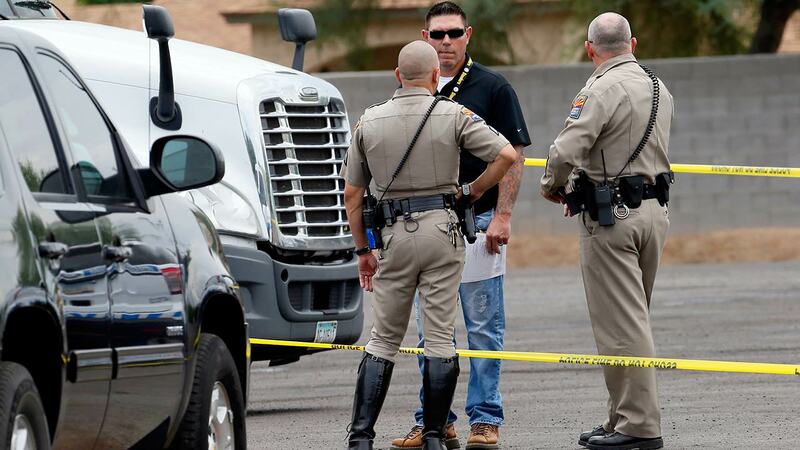 PHOENIX, AZ -- Authorities have arrested three teenagers for allegedly shooting at cars with a slingshot, but say they are not related to a recent string of in Phoenix-area freeway shootings. Maricopa County Sheriff Joe Arpaio said Sunday that three men, all age 18, are in jail after admitting to flinging rocks at pedestrians and vehicles. Arpaio says a couple whose car window was shattered Saturday east of Phoenix noted a license plate number of a vehicle that allegedly pulled up alongside them. Deputies and the state Department of Public Safety located the vehicle. DPS Director Frank Milstead says the incidents are copycats and there is nothing linking them to any of the 11 incidents his agency is investigating. The agency detained a 19-year-old man Friday for questioning in the shootings.